James Speer, associate professor of geography and geology at Indiana State University, has been named an associate editor of the Canadian Journal of Forest Research. Published by the National Research Council of Canada, the monthly peer-reviewed journal features articles, reviews, notes and commentaries on all aspects of forest science, contributed by internationally respected scientists. Speer is a dendrochronologist with experience in reconstructing environmental variables that affect tree growth, such as insect outbreaks, fire and climate change. He has developed tree-ring chronologies in the tropics where researchers previously thought annual rings did not form. He has developed the first insect outbreak reconstructions on pandora moth, an insect that has defoliated western pine forests, and has developed new methods in the use of tree rings to reconstruct past fruiting in oak trees. He also completed a National Science Foundation-funded grant project to explore the effect of cicadas on tree growth and is working on a National Science Foundation grant to reconstruct pandora moth outbreaks across the western United States. 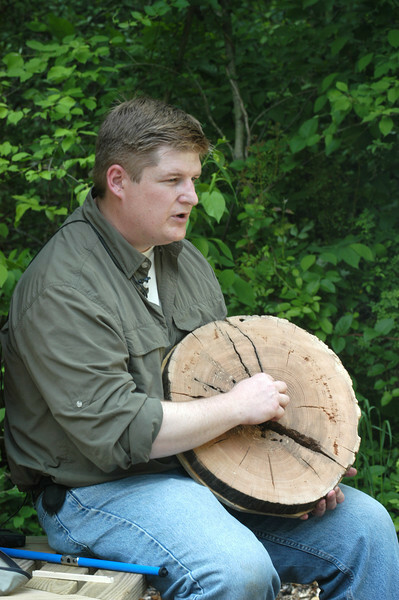 Speer is president of the Tree-Ring Society, which promotes education and research in the science of studying the annual growth rings in trees to reconstruct the environment. His appointment as associate editor of the Canadian Journal of Forest Research is for three years. James Speer, associate professor of geography and geology at ISU, and president of the Tree-Ring Society, has been named an associate editor of the Canadian Journal of Forest Research.